ZSL Whipsnade Zoo is the UK's biggest zoo. Set in 600 acres of beautiful parkland on the Chiltern Hills, north of London, the zoo is home to more than 2,500 animals, many of which are endangered in the wild. ZSL Whipsnade Zoo is just north of London in Dunstable, Bedfordshire. ZSL Whipsnade Zoo is served by Centrebus route 40, linking Dunstable with the Zoo. For more information contact 0844 351 1120, help@centrebus.com or visit the Centrebus website. Please note there are no buses to the Zoo on a Sunday. The nearest stations are Luton and Hemel Hempstead (both about 10 miles away from the Park). Thameslink train services run from St Pancras to Luton with an average journey time of 30 minutes. London Northwestern Railway runs services from London Euston to Hemel Hempstead and Tring also with an average journey time of 30 minutes. 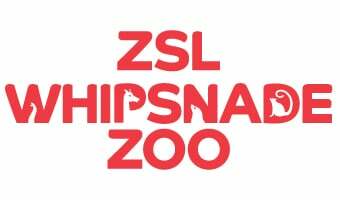 From the railway station, ZSL Whipsnade Zoo is approximately a twenty minute taxi ride. There are taxi ranks at both stations. Only 20 minutes from the M25 (junction 21), ZSL Whipsnade Zoo is signposted from the M1 (junction 9 and junction 12) and all major roads - just follow the elephant on the above map. Book Zoo tickets online and jump the queue! With so much to see and do, a visit to ZSL Whipsnade Zoo is the perfect day out in Bedfordshire for people of all ages. Our Visitor Information page has all the information you need to plan your day.